We specialise in 3D baby hand and feet castings ~ helping you to capture a moment in time. 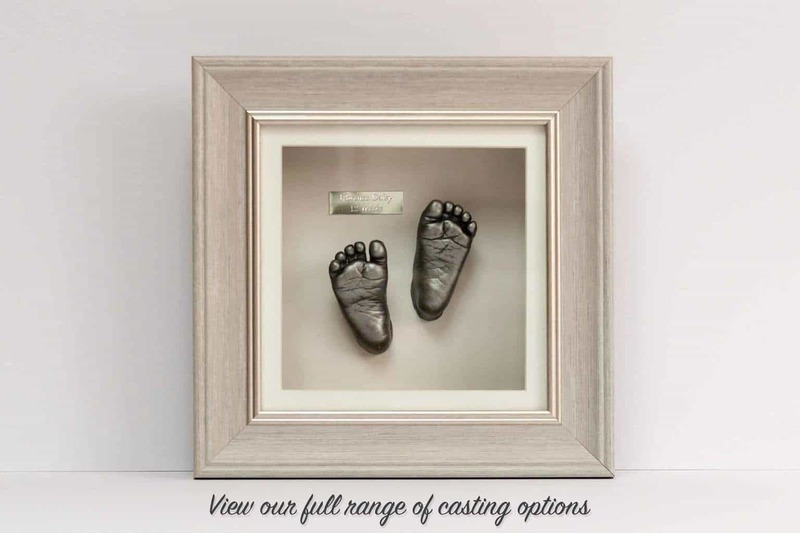 My name is Anna, a mum of two, I specialise in 3D baby hand and feet casting, helping you to capture a moment in time. They are something to treasure forever, a perfect gift for grandparents, a memory for parents and an ideal addition to the nursery wall. I first became interested in baby life-casting following the birth of my first child. Having had castings done for both my children, I wanted to be able to offer these unique keepsakes at a price that is affordable for everyone. Based in Guildford, I cover all surrounding areas, including Woking, Cobham, Dorking, Leatherhead, Epsom and Weybridge. You can visit my home to have the castings taken or I can travel to you. Having taken moulds of your child’s hands or feet, these are then taken away and finished. They can be painted in Silver, Bronze or Gold, framed and are ready for collection within 4 weeks. Moulds are created using impression powder (alginate), a seaweed based material which is hypo-allergenic for most skin types and safe to use on even the most delicate skin. This product is widely used in the Dental Industry. It allows the moulds to be taken rapidly, giving very detailed casts. The impression powder only takes a couple of minutes to set. The mould is taken away to prepare the 3D life cast which is created using plaster. After a finishing process it is then painted and mounted as requested by you. For more frequently asked questions please visit our frequently asked questions page. We have a large selection of casting products, including sessions designed specifically for babies through to adults. Why not have a look at the options available. Why not join our mailing list to receive discounts and special offers.